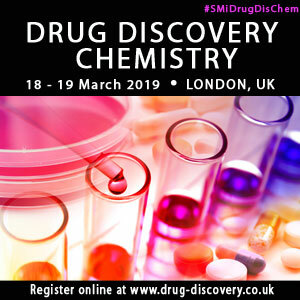 SMi’s Pharma is proud to announce the 3rd Annual Drug Discovery Chemistry Conference is back and the conference is taking place at the Copthorne Tara Hotel in London, UK on 18th and 19st March 2019. The conference also has an interactive half day pre conference workshop, which provide extra value to the Drug Discovery Chemistry conference, taking place on Wednesday 20 March 2019 at the same venue. If you are interested in participating and attending the conference, you can register at www.drug-discovery.co.uk/PPPR1 and save £400.